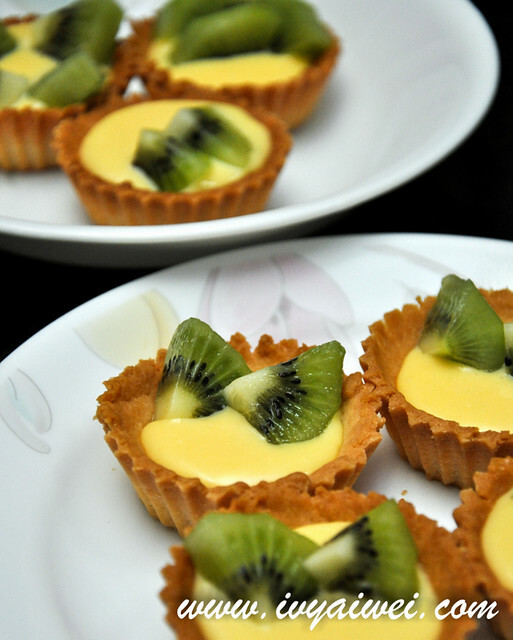 Yes, I just baked half dozen of tartlet to complete my 14 Days Zespri ® Kiwifruit Challenge. 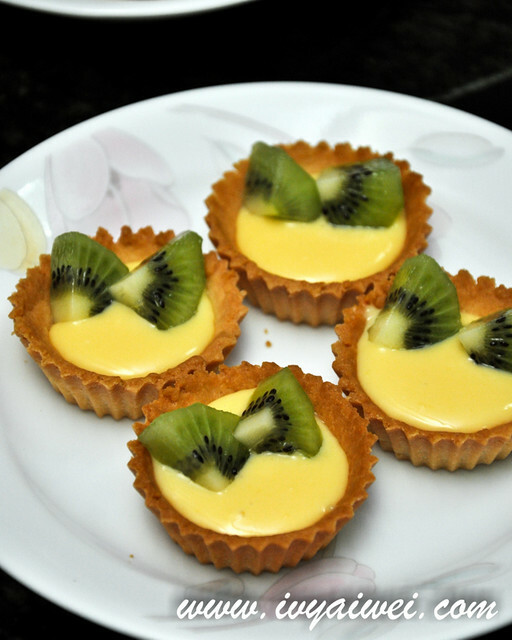 It was so fun to play around with Kiwifruits in meals and desserts. If I could spare more times in the kitchen, I would love to experiment more on savoury recipe with Zespri ® Kiwifruit. Too bad, time does not permitted me to do so during these 14 days, was already half dead after work. 2. A natural source of dietary fibre for a healthy digestive system. 5. Excellent for digestion with the presence of actinidin, a unique enzyme that helps break down protein. For the pastry base, mix everything together and shape into the mould. Bake at 180 degree for 15 minutes or until golden brown. Cool and ready for fillings. For pastry cream, mix well the ingredients (B) in a bowl. Bring milk to boil. Pour in half of the boiled milk into ingredient (B) and mix well. Pour the milk-mixture back to the pan and continue to stir the mixture until thicken. Pipe the pastry cream onto the tartlet base. Finally, decorate it with the sliced kiwifruits. 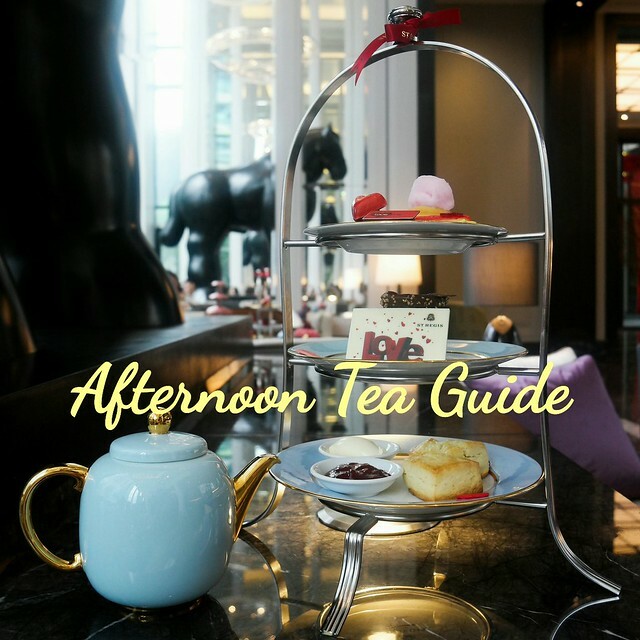 Chill for a while before serving. 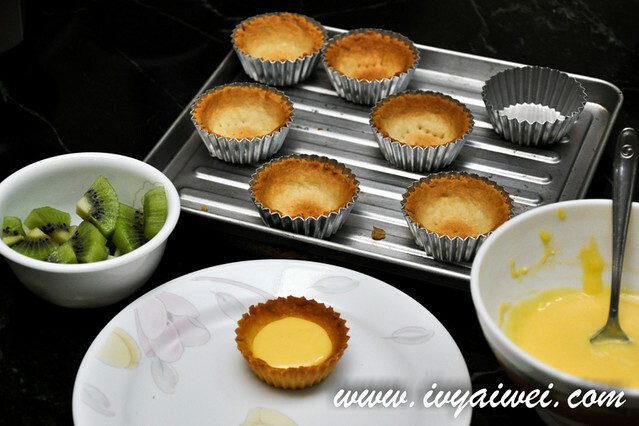 Depends on the size of your tart mould, recipe above can make one dozen or more with 2.5 inch mould. Ahhh well, the best way to enjoy Zespri ® Kiwifruit in a fuss free style is – cut kiwi into half, scoop them out & eat!